Papua New Guinea Health Minister Sir Dr Puka Temu has announced the national government’s commitment to have the polio outbreak in the country, handled and elimanated, by including it into the 2019 national budget. 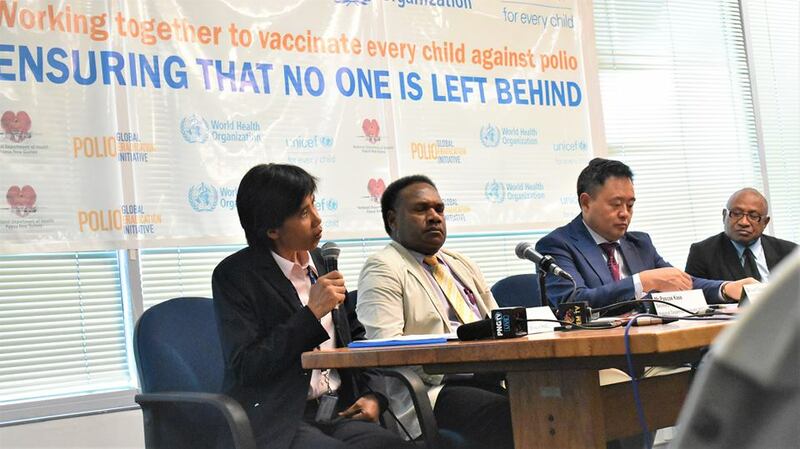 The Abau MP who was the then health secretary when polio was stopped in 1996 , said in Lae on Monday, when launching the mass immunisation program that, it is important that there is funds made available to contain this return of the polio virus into the country, 18 years after being eliminated. So far with the current polio outbreak, the National government’s K6m funding and the World Health Organisation’s US$500,000, equavalent to K1.6m, totals to over K7.6m. The Minister for Health Sir Dr Puka Temu, said he is already preparing a budget for the health department, especailly covering the immunisation programs for all diseases, to be included in the national budget for 2019. Minister Temu said the necessary systems are in place and as a country, PNG is capable because of its past history in eliminating polio. He said Prime Minister Peter O’Neill has always been a strong supporter towards the health system and will always prioritise funding when necessary.